Deliveroo has appointed the7stars to run its estimated £10m media planning and buying account in the UK and Ireland. The online food delivery company previously used WPP’s MediaCom to handle media across Europe. Deliveroo, which is known for its distinctive green and white branding, held a competitive pitch for the UK and Ireland business. It is thought that MediaCom did not participate. Emily Kraftman, head of marketing, UK & Ireland at ‎Deliveroo, said it appointed the7stars because "we felt their strategy to be compelling and felt that the7stars’ values and ways of working fit very well with how we work at Deliveroo". the7stars, Britain’s biggest independent media agency, prides itself on its ethical values, including its transparent media buying practices. Deliveroo lets users order from local restaurant chains and independents that may not otherwise deliver food and manages a fleet of delivery riders. Some MPs and unions have criticised Deliveroo because it treats riders as self-employed contractors, rather than workers, which means they are not entitled to certain rights such as the minimum wage and sick pay. However, in what was seen as an important test case for the so-called "gig economy", Deliveroo last month won support from an employment arbitration panel, which rejected a challenge by workers in north London. Deliveroo, which was founded in 2013, operates in more than 100 cities and towns across the UK and Ireland. It competes with rivals such as Just Eat and Uber Eats in the fast-growing online food-ordering and delivery market. 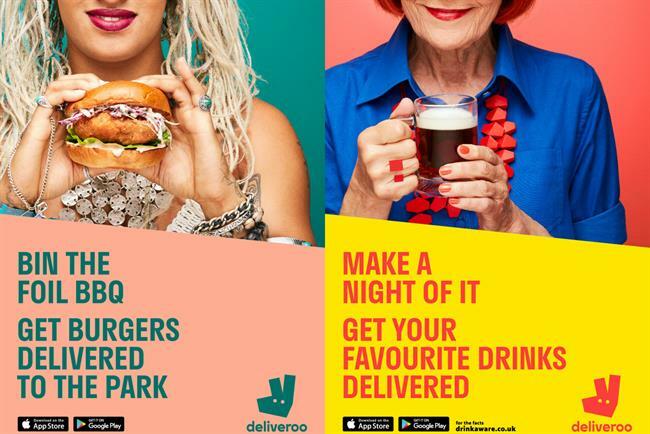 Deliveroo does not disclose its marketing budget but Nielsen estimates it spent £4.9m on media last year, and it is thought that brand could easily double that to £10m to drive growth. Nick Maddison, managing partner at the7stars, said: "Deliveroo is a dynamic and growing company that has quickly embedded itself as part of the UK food scene. "We look forward to working with them to deliver the company’s next phase of growth." Deliveroo is the7stars’ second win in the space of a week after it landed Capital One’s estimated £11 million account, which was previously held by Spark Foundry. the7stars was named Media Agency of the Year in the 2017 Campaign Annual and it claims to be on course to pass £300 million in annualised billings by the end of this year.